Don’t underestimate the importance of your computer monitor. Larger sizes let you get more done, and more pixels make everything crisp and clean. If you’re still working on a tiny monitor with an even more cramped resolution, today’s the day to upgrade on the cheap. 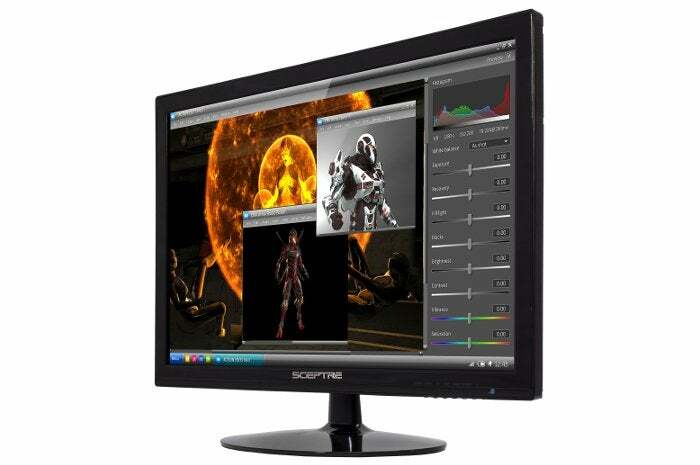 Walmart is selling a Sceptre 24-inch 1080p monitor for $80. Monitors like this don’t go for so far under $100 very often. The display usually sells for about $96 on Amazon, and Newegg’s offering it for an inexplicable $206. At this price, you won’t find an abundance of extra features—this is a basic, no-nonsense 1080p display that would do just fine for everyday computer use, 1080p video watching, and casual gaming. It’s got the usual widescreen 16:9 aspect ratio, a 60 to 75Hz refresh rate, and a 5ms response time, but no fancy extras like FreeSync support or gaming modes. On the plus side, the Sceptre display packs built-in speakers, though you’d no doubt be better off buying budget computer speakers like Creative’s surprisingly good Pebble if you have another $25 to spare. HDMI, DVI, and VGA connections can be found on the back of the monitor. 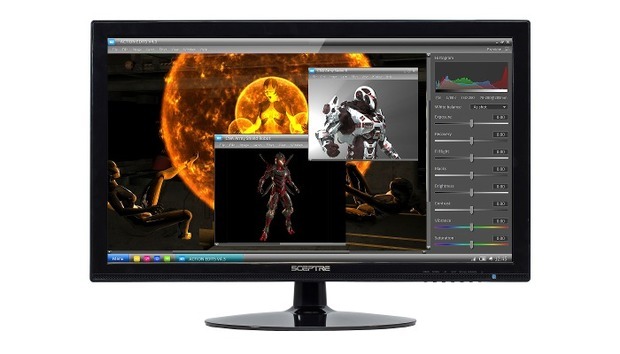 Bottom line: This monitor should get the job done at a great price, but without a lot of extras.